Brazilian Smoky Quartz swirls with vapor the color of ash, lending this gemstone an exotic and mysterious appearance. A variety of quartz, Brazilian Smoky Quartz has a tinted appearance. Colors of this stone vary, ranging from a smoky gray to brown to black. As with many gemstones the saturation of color increases with the size of the stone. The color of the gem is a result of natural irradiation from within the Earth reacting to aluminum present within the quartz. Examples of this stone typically eye-clean, without visible flaws. Paired with its affordability it is very common to see larger gemstones sold. 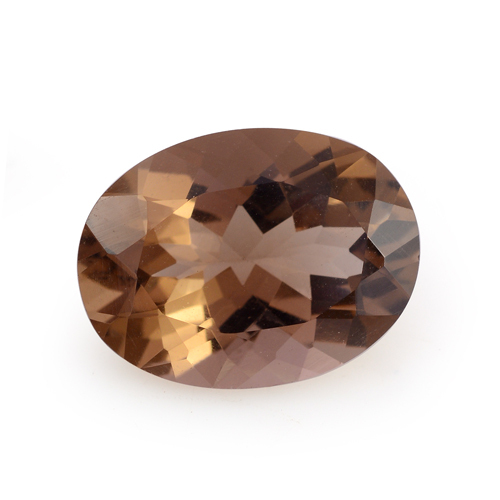 Due to its translucent appearance, it is popular to see it faceted or shaped into a cabochon. Beads and chips are also quite common too. The durability of this gemstone makes it an excellent choice for daily wear. 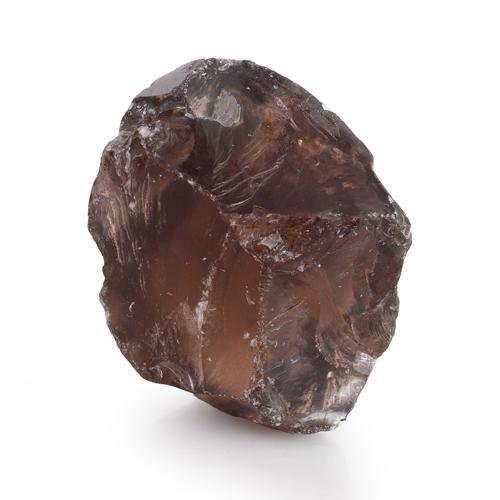 Brazilian Smoky Quartz is an abundant gem, and readily available. It is possible to produce this gem by irradiation of quartz, but not typically done. It may also be heated to lighten the color of darker stones. 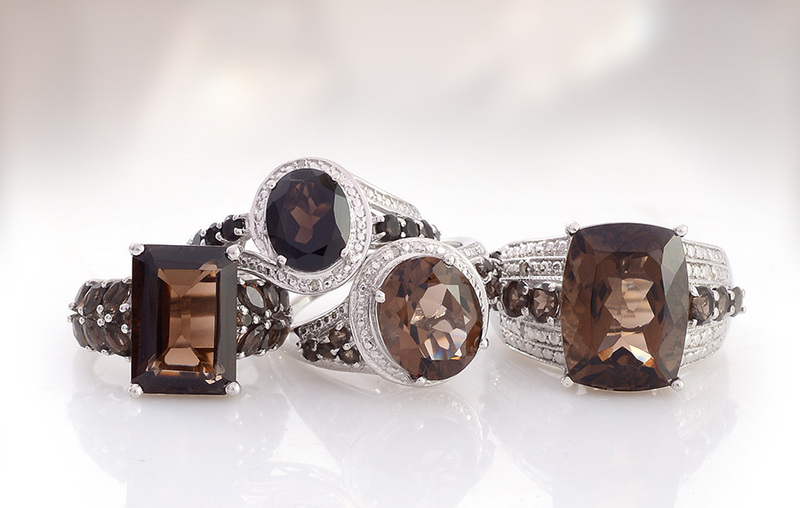 • Smoky quartz is named for its prominent smoke-like appearance. • Cairngorm, a distinct variety native to Scotland, is the country's national gemstone. 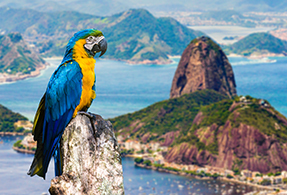 It ranges in color from yellow-brown to gray-brown. • Morion is another variant of this gem. It is nearly opaque, ranging from dark brown to black in color. • It is the state gem for New Hampshire. There it is frequently found alongside deposits of granite, the state's official rock. This variety of gem is plentiful and found around the world. 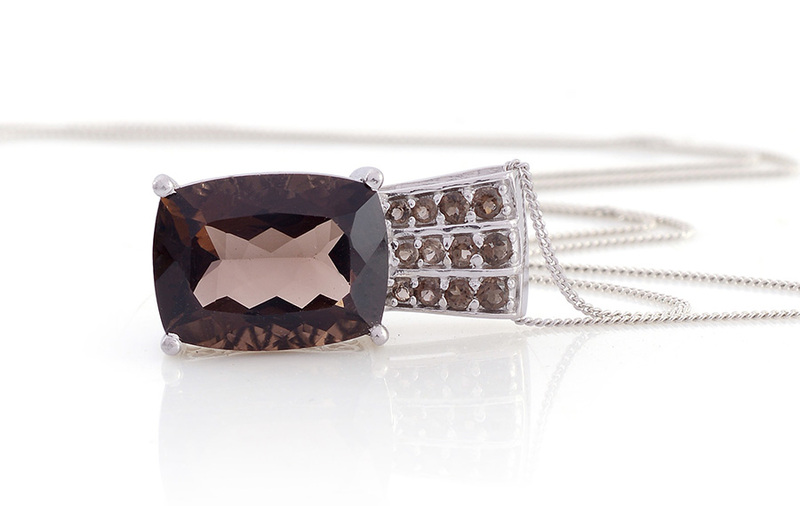 Brazilian Smoky Quartz is specially sourced from Brazil. This country leads the world in the production of quartz. Minas Gerais is well known for the quality of its quartz and is the source used by Shop LC. Typically translucent, color ranges from gray to brown to black. Heat-treated to improve color or irradiated to create color.